A first look at Netflix's upcoming racially themed drama. 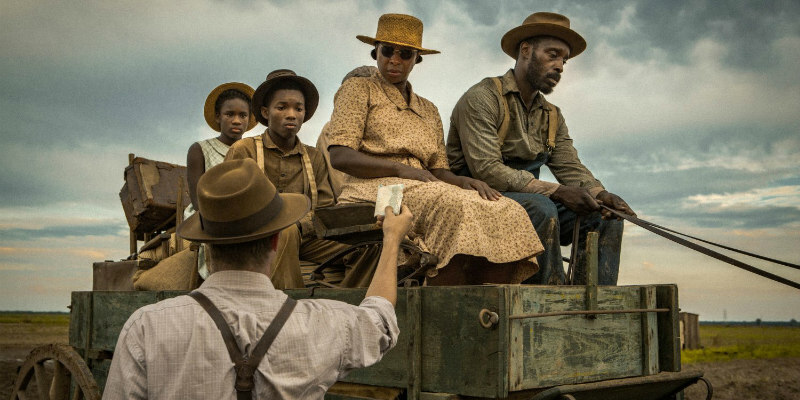 When it premiered at Sundance at the start of the year, director Dee Rees's Mudbound was instantly labelled a frontrunner for the 2018 Oscar. Since then the film has been acquired by Netflix, which initially seemed to rule out its chances. The streaming giants seem intent on awards glory however, and will be releasing the film, which tells the story of two families divided by race but united by class in the Jim Crow era, on a limited number of screens alongside its online premiere on November 17th in order to qualify for an Oscar nod. The film stars Carey Mulligan, Jason Clarke, Jason Mitchell, Mary J. Blige, Rob Morgan, Jonathan Banks and Garrett Hedlund. Mudbound follows the McAllan family, newly transplanted from the quiet civility of Memphis and unprepared for the harsh demands of farming. Despite the grandiose dreams of Henry (Jason Clarke), his wife Laura (Carey Mulligan) struggles to keep the faith in her husband's losing venture. Meanwhile, Hap and Florence Jackson (Rob Morgan, Mary J. Blige) — sharecroppers who have worked the land for generations — struggle bravely to build a small dream of their own despite the rigidly enforced social barriers they face.